Alright, so you want to buy some Bitcoin Cash. First things first, a quick crash course on buying crypto in general. Cryptocurrencies are bought through exchanges. Exchanges are platforms you need to sign up for (like forums/apps or any other website with user accounts). Once you’ve signed up, you can log in, deposit credits/money (preferably AUD) into your account. And then you can use that money to buy cryptocurrencies on the platform/exchange. It used to be the case that you had to buy either BTC or ETH, then transfer that to another exchange like Binance or Bittrex, and then trade them for Bitcoin Cash. And to cash out, you’d have to do the whole process in reverse. With Coinspot you can buy Bitcoin Cash with AUD, no need to go through BTC or ETH, very handy! We’ve laid out the steps on how to get started below! As mentioned above, Coinspot is our go-to for trading cryptocurrencies in Australia, definitely if you're starting out. It's the most trustworthy exchange available and it makes trading buying, selling and switching coins incredibly easy. After creating your account the first thing you'll want to do is Enable 2FA (2-factor authentication, adds an extra step for logging in to your account, very easy to setup), you should see the message below at the top of your page while on the dashboard. Before you do anything on CoinSpot you'll have to verify your account. First, you'll have to verify your email and mobile number before continuing with the verification process. You will then have to fill in all of your personal information including documents, don't be alarmed uploading this information, every exchange requires it. It's to ensure your safety and make everyone on the platform accountable. You'll need to connect up your bank account if you want to buy coins on the platform. 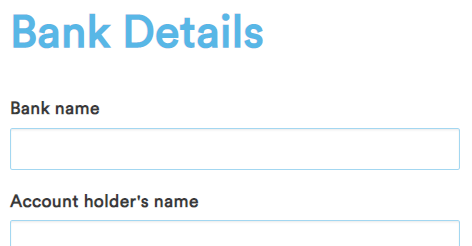 Fill in the required bank information. Once your account is verified and you've added your bank account details you can start buying and selling cryptocurrency. This page lists all the coins that CoinSpot has available (which is a lot). Simply click on "Buy" and input the amount of the coin you want to purchase or the amount of AUD you want to spend. We highly suggest paying with POLi as it allows for near-instant transactions. Easy as that! You now have bought some cryptocurrency. We highly recommend moving your cryptocurrency to a hardware wallet if you are planning on holding it for a while. If you are planning on day trading, or trading fairly regularly we suggest keeping it on the CoinSpot platform. We highly suggest using CoinSpot to buy and sell Cryptocurrency. We've done a comparison of the top 10 exchanges in the world for Australians to use and CoinSpot clearly deserves the top spot, you can see our full CoinSpot review here. CoinSpot is by far our most recommended exchange for Australians. They have an easy to use platform and an online wallet that makes trading simple for new users. They have a strong sense of community and are constantly posting updates and adding new coins to their portfolio. This is the most trusted exchange in Australia and arguably the best exchange globally. Many have heard of the cryptocurrency, Bitcoin. But if you’re not staying tuned in to the cryptocurrency world on a constant basis, you can miss the many permutations of Bitcoin and other cryptocurrencies, and there are many. One that is starting to gain some serious ground is Bitcoin Cash, which no, is not the same thing as Bitcoin. 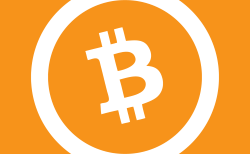 Bitcoin Cash is a modified version of the Bitcoin cryptocurrency, also known as a “fork” off of classic Bitcoin. It is part of a collaborative attempt to provide a solution to the slow processing time that traditional Bitcoin requires to process transactions. “Forks” are formed when teams of developers and miners create a new blockchain ledger where their desired changes are applied. In the case of Bitcoin Cash, rather than having a block size of only 1 MB, it has an 8 MB block size. The developers also decided to remove one of the steps previously required in confirming transactions – the Segregated Witness (or SegWit) step. These larger blocks and fewer steps allow the transaction process to work significantly faster. Not only does this allow for a higher concentration of transactions, it also makes each individual transaction much faster. Bitcoin Cash just launched in 2017. Other “forks” had been created previously, such as Bitcoin Unlimited and Bitcoin XT, but these failed when not enough people adopted the new system. Bitcoin Cash, however, has seemingly stayed strong up till now. The biggest motivation behind its creation was the desire to make Bitcoin as competitive as PayPal and Visa. Since Bitcoin has increased in value, a move in that direction would make it much more practical to use and even more valuable and competitive. However, to bring Bitcoin to that level would require that it process more transactions and process them much more quickly. The only way to do this was to increase its block size and fine tune some of the steps in confirming and processing transactions. Bitcoin Cash has accomplished these tasks. There are further adaptions schedule for Bitcoin Cash, with the goal of increasing its capacity from 8 MB to 32 MB by May of this year, and an ultimate goal of getting it to 1000 MB as soon as possible. The most obvious benefit is Bitcoin Cash’s ability to allow for a greater number of transactions. Transactions with Bitcoin cash are extremely fast and reliable, since there is less network congestion. It also puts pressure on Bitcoin Classic and will encourage a continued effort to make classic Bitcoin a better currency. However, there are a few downsides, especially from the standpoint of an investor. First, this fork was only just created in August of 2017. Whether it will survive or not is still unknown. To really gain value, it will have to survive long enough and gain enough individuals and companies to mine and use it that it reaches critical mass. However, even if it starts to be successful, it may just inspire others to create their own forks and provide more competition to Bitcoin Cash and lessen its value. Second, some worry that the form of Bitcoin Cash (and other forks, for that matter), makes mining the currency beyond the reach of the average individual. This is because larger blocks require much more powerful computers to mine them. This would certainly price out small, individual miners.The reason this is a concern to many is that the whole principle behind cryptocurrency is that it is peer-to-peer and requires a mass consensus for changes to be made in how it works. If Bitcoin Cash became the dominant form, and only larger, wealthier, more powerful entities could afford to mine and develop it, then the control of Bitcoin Cash would become more centralized and potentially more regulated by a few entities, rather than by a true consensus. Despite these concerns, some of the most positive supporters of Bitcoin Cash are ensuring investors that there is already such a large number of teams of developers that the chances of centralization and political or social interference with the development is beyond possibility. As always, it’s just a good idea to stay as informed as possible and up to date on the latest changes, so you can adjust if something changes. Bitcoin Cash has numerous attractions as an investment and just as a simple currency. It is growing stability and has solid plans for future development, which increases the likelihood that it will continue to grow in demand and value. Furthermore, if you are looking to not just invest but to actively use cryptocurrency, you will find Bitcoin Cash a more practical currency to work with. As cautioned above, though, its stability is far from certain. Just be sure to keep a close eye on its developments and use caution in investing. As with all cryptocurrencies, it is very volatile on the market.